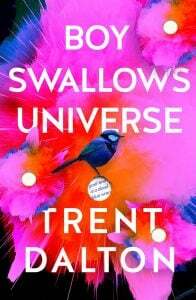 Trent Dalton’s first book, Boy Swallows Universe is a funny, tender and raw coming of age story set in 1980s Australia. After a six-day trial in the Brisbane Supreme Court, Slim was sentenced to life for bashing a taxi driver to death with a Colt 45 pistol. Tabloid newspapers dubbed Slim ‘The Taxi Driver Killer,’ but Eli just calls him his babysitter. Eli’s younger brother August doesn’t speak, ‘He can tell you how happy he is in the way he butters bread, how sad he is in the way he ties his shoe laces.’ Although Eli loves August for who he is, nobody knows why the young lad stays silent. Their mum says August stopped talking around the time she left their dad. But she refuses to talk about her ex-husband, with every attempt by Eli to learn more about his father, denied. These days, Eli struggles with his abominable junky step-father Lyle, who reassures the boys that both he and their mother are clean—although the syringes and heroin Eli finds around the house suggest otherwise. The poor boy is already stripped of any decent role models, so it doesn’t help when the ferocious, eccentric, big-shot drug dealer Tytus Broz starts taking an interest in him. And things only become more chaotic when Eli falls in love. When Eli’s mother ends up in prison more chaos is unleashed and he begins hatching a devious plan to bust her out of Boggo Road Goal. But in order to get her out, he’s going to need some help from his friends . . .
At its core, Dalton’s remarkable debut novel which is to be published in the UK, the US and across twelve other languages in a coordinated worldwide release, is about chaos. The chaos that Dalton faced in his own life in Brisbane’s cutthroat working class echelon, using his problematic upbringing for broader ruminations on masculinity, crime and morality. And it is a remarkably compelling story but what really makes Boy Swallows Universe shine is its use of language. Dalton has invented a kind of clipped, poetic vernacular that colours the entire book. Like this: ‘This room of true love. This room of blood. Sky blue fibre walls. Off-colour paint patches where Lyle has puttied up holes.’ We’ve seen this embrace of poeticism in other contemporary novels—Peach by Emma Glass and The Bricks That Build the Houses by Kate Tempest spring to mind—but there’s something distinctly picturesque about Dalton’s language that makes it inherently Australian. It’s perhaps this emphasis on distinct language, on inventive storytelling, that has novelists and critics alike applauding this wonderful, unexpectedly beautiful portrayal of boyhood and destiny. Trent Dalton is a staff writer for The Weekend Australian Magazine and former assistant editor of The Courier Mail. 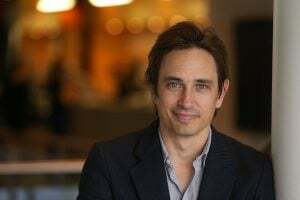 He’s a two-time winner of a Walkley Award for Excellence in Journalism, a three-time winner of a Kennedy Award for Excellence in NSW Journalism and a four-time winner of the national News Awards Features Journalist of the Year. What a delightful tale, where Dalton digs deep and finds such goodness that he presents after dipping a coloured paint brush into such chaos and a mismanaged world…anything is possible! I’m confused. Msy need to start again. Lyle and Slim. Trying to differentiate between the two. Ease help. I had no idea when I chose this book that I was in for a new, wonderful and unpredictable positive reading experience on so many levels. There is a rhythm to this book that you either just don’t want to put down or already planning how to get back and continue reading. This book is a gift that encapsulates history, hope and future. Thank you. As soon as I finished this book I wanted to read it again. What stayed with me was unconditional love and how it has a power beyond ourselves. I will never forget the image of Eli and his mum on Christmas day in Boggo road gaol. Just a stunning Aussie classic leaving one with an indelible imprint of images and emotions. The prose truly descriptive and awesome.